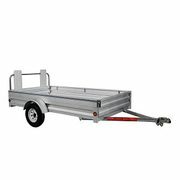 Save on your next purchase of select trailers at Lowe's with up to $250.00 off until April 17. Offer ends April 17. Free eligible parcel shipping on orders over $49. Quantities are limited so shop now while supplies last. 2.7 LCD. 4 LED. Brand new!. 2.4" LCD. 4 LED. Brand new!.